With the swift expansion of the World Wide Web, there has been a growing attention to the brand image on the Internet that a company projects. Online reputation and your ability to satisfy customers are more important than your own revenues. People find comfort in giving their opinions online via public forums, blog sites, and other social media platforms such as Facebook, Twitter, YouTube, etc. While, these platforms are being used by business organizations to connect with their clients and attract new clients, but, the company also gets inclined to become the target of a negative note. 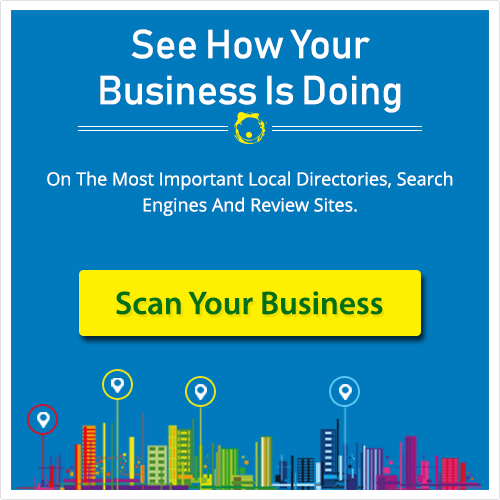 Statistics say that approximately 84% of consumers trust online reviews as much as personal recommendations and 73% of these consumers trust local businesses only after reading the positive reviews. So, if you thought that online reviews of your business don’t matter and that you don’t give a damn about it, then you’re wrong! 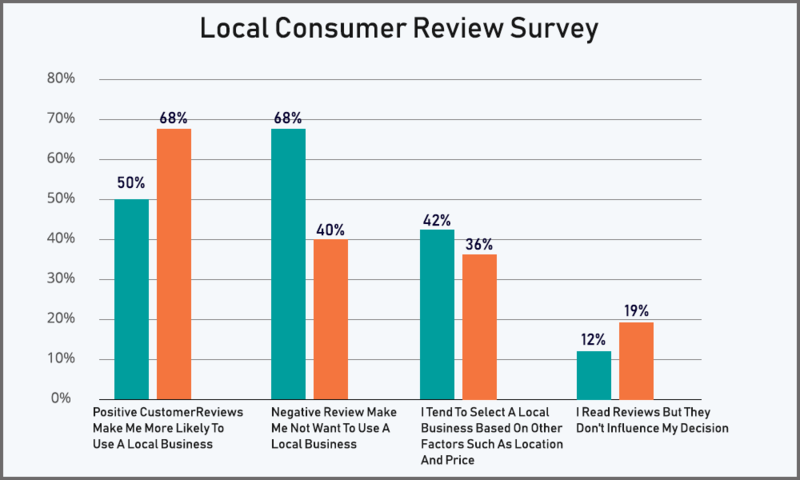 Online reviews are highly influential for your business! Therefore, you need to create a process that enables your customers to leave feedback for you. And you can always improve upon these reviews, and help yourself do your business better. Here, we will discuss why online reputation is important for your business and various strategies which can help you manage your online reputation. Businesses are extending their wings all over the internet and becoming the bigger brands in the market. But as the company expands, it becomes even riskier to manage things. Your public profile, company’s name and your relationship with customers is all at stake.This is where online reputation management plays a role. ORM is a solution to manage the company’s reputation and help your business grow. ORM means regulating your brand image online to conserve and accelerate the growth and prosperity of your business. ORM enables you bury all the negative reviews, comments, and the testimonials that people give about your products or services online. Most of the business owners believe in the outsized importance of maintaining the positive online footprint of their business and engaging with their customers digitally. And as mentioned above, more than three-fourth of customers follow the online reviews as much as personal recommendations. To err is human, but there is always a scope to improve. When consumers give negative reviews to your company, these feedbacks remain on the internet forever. And if these reviews are not monitored regularly, this may drag your business in a tough position. Your sales and growth are all on stake. According to one survey, online reviews are 13% responsible to influence how Google and other search engines rank the search results. It is suggested that increasing reviews on Google by investing in an automated review management system may help to enhance rankings, Click-through rates (CTRs), and convince browsers to become buyers. What ORM services do for you? With the digitalization of businesses online, one is prone to the negative reviews and earn a bad reputation. This could be true about your products or services or might be a controversy, but your customers do not know behind the stage stories. In this scenario, it becomes important to hire ORM service providers that help you conceal your negative reviews online. They are specialized to assess, enact, protect and improve your brand’s image through a number of online strategies. ORM professionals help spreading the good or neutral news about your business that takes your public profile in top search rankings and that too with positive reviews and link them to your other profiles. Search engine optimization (SEO) is the process of listing your online content higher in popular search engines like Google. In 2018, businesses are more focused on long-form content coupled with a solid promotion strategy to boost customers visit to your website. ORM service providers take care of SEO keywords so internet users making organic search linked to your business are more expected to find you. SEO is also considered to accentuate the positive reviews and demote the negative information to the remote ranges of the internet. Your ORM service provider can plan the ways to put positive content on internet to depreciate any negative information away from the front pages. According to one report, 51% of website traffic comes from the organic search. This is where SEO has a big role to play in. To get a good ranking in the search engines and establish a good reputation, company needs to have high-quality content. This encourages the customers in your services and also creates more customer visit on your website. As reported by the Content Marketing Institute, content marketing adopters have conversion rates that are six times higher than non-adopters. A forecast by Cisco reports that videos acquire 82% of all consumer Internet traffic. Our news feeds across Facebook, Snapchat , Instagram, Twitter and even LinkedIn are all dominated by Live and recorded video and video ads. ORM service providers ensure that your web content including blogs, video and visual elements are well-written, organized, and unique so that visitors find positive and relevant results when they come to your website. This adds more integrity and reliability to your brand and your reputation. Social media is one of the primary means that help branding your business. While these social media profiles like Twitter, Facebook, Pinterest and Instagram can help you get more customers, it may also attract the negative image via reviews or feedback that may harm your brand to the core. As per the statistics, more than 70% of consumers would recommend the brand to their friends and family on social media if they had a positive experience. 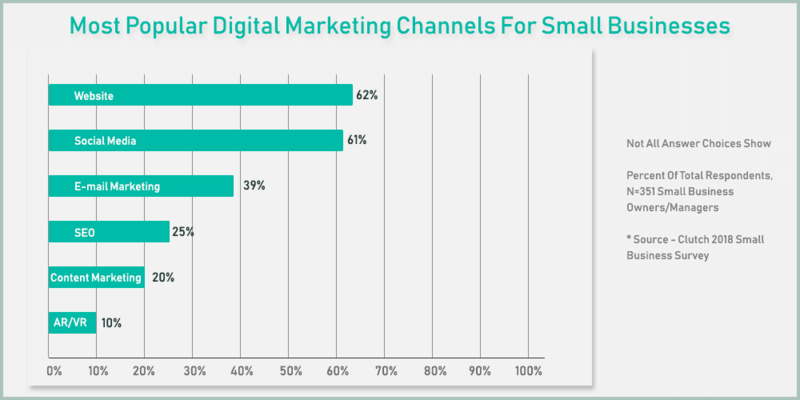 According to a recent survey, 62% of small businesses invest in social media. Considering that most of the companies struggle with the lack of social media ads budget, social media platforms like Facebook has come up with some of the ad targeting tools. The ORM service providers can help you improve your online reputation by regularly tracking, monitoring and eliminating any negative material and creating the outflow of positive information how your social media profiles. When there is any negative information on your own website or social media profiles, you get the alert and can control the disaster. But there are also third parties that can damage your reputation without your consent. The popularity of third-party review sites like Google, Facebook, Yelp, Yellow Pages and TripAdvisor is driven by customers’ honest desire to engage with your services or products. The ORM service providers monitor these websites for this kind of content to see what people are saying about you. Keeping a check on what’s being said about your business helps you monitor your online reputation, respond to comments timely, and to improve your products, services and customer experience based on the feedback you get. How to Ensure Online Reputation Management? Since social media is an accessible platform for anyone to put their opinions about you publically, it is important for you to monitor, response and improve before everyone else judges you. However, the size and complexity of the World Wide Web together with the travelling speed of all the negative information; it becomes difficult to constantly monitor what is being said. So, there are the online reputation management service providers who do this for you. And then there are online reputation management tools too! Bad opinions, gossips and rumors spread at the lightning speed in this era of internet. So, if you are being targeted, react quickly and monitor all relevant data. This can help you go to the root of the problem. For instance, “We understand your problem. We are working on it and will get back to you as soon as possible.”ORM professionals can do this for you by responding to them, and writing the positive reviews to sway away the negative ones, while you make the future plans for your business. is a better reply than a late reply with more information. ORM professionals can do this for you by responding to them, and writing the positive reviews to sway away the negative ones, while you make the future plans for your business. Negative reviews can be frustrating. However, replying aggressively or rudely to the customers is never to be practiced. Small goodwill gestures along with an apology also help your customers have a positive image of your brand. Knowing what customers find important and how they want to interact with a brand is important for any business. It is essential to take note of what consumers think is necessary in order to mend a product or service and then make the changes that will please shoppers. Arrange customer support on calls and chat, tweets, and Facebook posts available 24/7 if you plan to deliver results quickly. Having stated all the facts and statistics above, there is no reason why one should not invest in hiring ORM tools and professionals. ORM is a need of the hour for any organization that’s trying to survive in the business. ORM strategies can help you bring effective returns, credibility and trust and reputation management. Businesses are at risk of losing 22% of business when potential customers find one negative article on the first page of their search results. ORM can help you sail through the bad tides. ORM Do-it-yourself (DIY) is best for business owners who have more time than money. These managers and owners have enough time to be hands-on with their customers’ services online. They want to be involved with customer interaction, know where they’re listed, and everything else that is online. However, ORM professionals are where the agency handles the online reputation on behalf of the local business client. With the agency handling the work, the owner doesn’t handle the customers virtually. It’s best for businesses that have more money than time. This option is also a great choice for businesses that have less knowledge of social media and ORM tools. Social media can really affect the reputation of a company. Online reputation management involves managing the search engine results and protecting your company’s brand reputation from negative exposure online. It may take time for you to master the intricate details of online reputation management, but it is absolutely worth spending every penny you invest and the effort you put into it. Online reputation management can help prevent the loss of customers and business and ensure the ongoing success of your organization by constant monitoring, analyzing and driving the online communications.